Adidas is looking to speed up trainer production, and will see its first shoes manufactured by robots next year. The company wants to bring its manufacturing operations back from China and Vietnam, where it relies on human labour, closer to home in Germany. The new "Speedfactory" is located close to Adidas' headquarters, and will start producing a concept shoe in the first half of 2016. The technique could allow consumers to customise their footwear in-store, then have it delivered within a week. The Sun newspaper will be getting a new gambling brand next year, called Sun Bets. News UK, the paper's parent company, has partnered with gambling firm Tabcorp to create the new brand, which will operate in the UK and Ireland. News UK will be responsible for Sun Bets' branding and promotion, with Tabcorp handing over a cut of the money to the publisher. Neither company has revealed what exactly the revenue share deal is. The pair plan to run the brand for at least 10 years. Rebekah Brooks, CEO of News UK, said: "This deal with Tabcorp marks a pivotal moment in the digital transformation of the company, creating a world-class online sports book that will engage and entertain the betting public in the inimitable style of The Sun. "The two powerful brands of The Sun and our Dream Team fantasy football competition already have incredible reach and I have every confidence that this will be a rewarding partnership, which will see Sun Bets firmly established as a key player in the online betting business." Yahoo has abandoned a plan to spin off its stake in China's Alibaba into a new company, and will instead spin off its core web and display businesses. The turnaround is due to US tax complications, but would also leave Yahoo's newly spun off core businesses ripe for a sale. 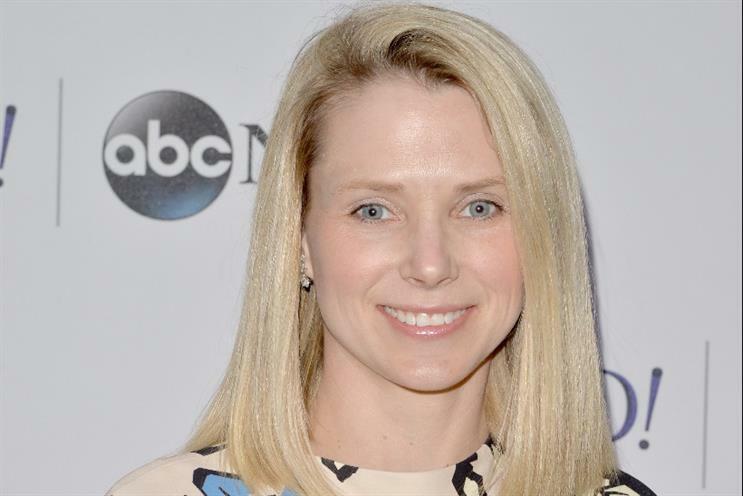 It isn't clear what the new company might be called, and Yahoo CEO Marissa Mayer, announcing the plans, hasn't floated a sale just yet. She told the Financial Times she had "no intention" of stepping down. This month we looked at new economic models and how marketing fits into a future of potential postcapitalism. Read all our insights and news from the theme in one place. Lidl's marketing and advertising director, Arnd Pickhardt, scooped the Marketers' Marketer of the Year award after being voted in overwhelmingly by elite industry players in Marketing's Power 100. Rather than a video, this week we're pointing you towards our new podcast. Listen to the third episode below and find out more here.